Hardwood flooring is a diverse, timeless investment that homeowners have used in their interior design for ages. With all the variety out there, choosing the best one for you can seem a little daunting. Not to fret! Flooring Headquarters, a Longwood hardwood flooring company is here with some quick tips to help you as you look for wooden floors that suit your taste. Wooden floors come either ‘finished,’ meaning they’ve already been sanded and sealed, or ‘unfinished,’ meaning they still need to go through a process before installment. Both are great options but the selection depends on how much effort you want to put into your floors. Unfinished wood is ideal for people looking to customize their home. Areas where water may be more prevalent like the kitchen of laundry lend themselves well for unfinished hardwood. This is because the onsite sanding and sealing process prevents water from seeping through the cracks of the floor, which can cause major damage to your home. Finished (also called prefinished) wood flooring is, you guessed it, ready to install right away. There is little more do to than simply placing it and adhering it to the ground. Though it may be a little pricier than unfinished wood, this kind is great for homeowners looking for a quick, easy installation process. Solid hardwood flooring is thick and durable. It can be sanded and refinished several times before it’s unusable. This makes it great for people who like to change up their homes every so often. Just be mindful that water and humidity are catalysts for solid floors to warp so keep an eye on how much moisture is in the air at home. Engineered flooring is basically a slab of nice wood placed on top of layers of lower-grade wood (think plywood). This is a more eco-friendly option and it lasts quite some time. The downside is that refinishing this type is nearly impossible so, be sure that you’re in it for the long run if you choose engineered wood. Nowadays there’s such a vast variety of hardwood flooring that choosing which species becomes something of a debacle. What it boils down to is budget and taste. The most common and available types of wood are maple, oak and cheery flooring. Then, there’s the pricier walnut and mahogany – and the list goes on. Generally, the more exotic the wood, the more expensive it is. If you have budgetary constrains, visiting a salvage yard and looking for reusable hardwood might be right up your alley. In fact, so many people do this that many yards have waiting lists for clients who are looking to save a chunk of change while they’re designing their homes. Often, the quality and quantity are high, making this a little treasure trove. Whether you’re looking to remodel or start from scratch, hardwood floors bring an air of warmth and sophistication to your home. Just be mindful of pricing and how much work you’re willing to do and you’re off on the right foot! For all of your wood-related woes, know there’s a local Longwood hardwood flooring company ready to help. 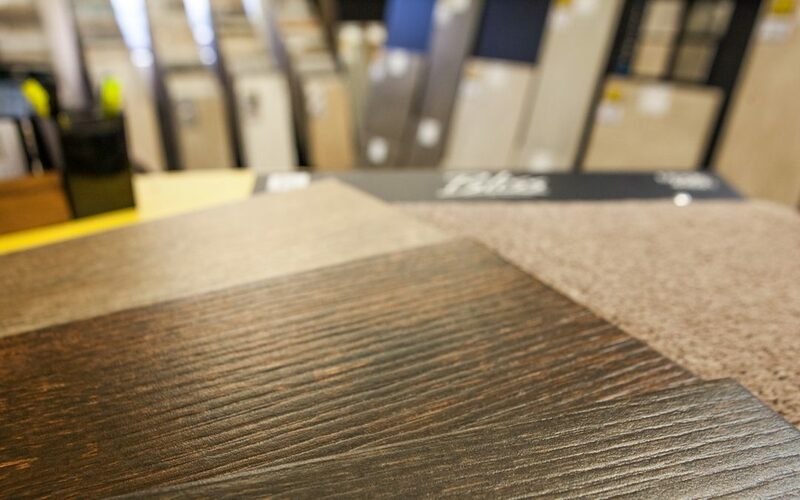 We specialize in all different types of home flooring so you can enjoy your home at ease.